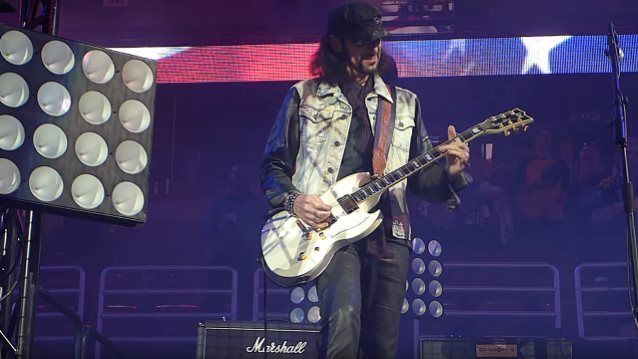 Former KISS guitarist Bruce Kulick performed America's national anthem Saturday night (May 28) when Arena Football League team LA KISS played host to the Portland Steel at Honda Center in Anaheim, California. LA KISS co-owners and Kulick's former bandmates Gene Simmons and Paul Stanley were both in attendance at the event. Video footage of Kulick's rendition can be seen below. Check out photos at California Rock News.